At Australian Risk Services our highly-skilled and fully-qualified team of on-site assessment professionals take pride in our comprehensive and targeted approach. Our years of hands-on experience and training have taught us that no two plants or industrial sites are the same. With this in mind we conduct highly-detailed inspections of our client’s properties from top to bottom to ensure that they conform with current WHS safety standards and regulations. Thanks to our second-to-none approach and commitment to safety Australian Risk Services can conduct onsite risk assessment services and hazard identifications as a part of our dependable risk assessment process. 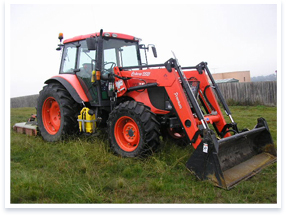 Through extensive usage both plants and heavy equipment can be damaged through overuse, misuse, or as a direct consequence of an accident. If left overlooked or unattended these faults can become major and expensive headaches that can lead to serious injury and litigation. To help you prevent these scenarios from becoming a reality the fully-qualified team at Australian Risk Services can conduct detailed and industry-compliant plant risk assessments to ensure that your site is as safe as possible. By securing the services of our assessment team business owners can see a number of benefits including a more ordered working environment, a higher safety profile, increased protection of employees, safe machinery, and an increased understanding of the latest standards and regulations. Australian Risk Services are Melbourne’s WHS risk assessment experts, being well-versed in the differing regulations throughout the country. While the legislation regarding WHS requirements varied throughout Australia, a nationalised system is slowly coming to fruition with the introduction of the new Work Health and Safety Act in 2011. This legislation closely matches much of the existing regulations in states throughout Australia, although businesses should still prepare for the upcoming regulations. 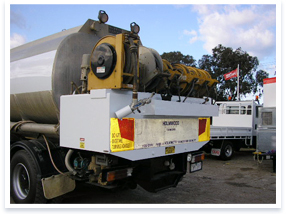 Australian Risk Services can assist, ensuring you meet the Victorian WHS requirements. Who Requires Plant Risk Assessments? If any of the above are used by your business, you will require a plant risk assessment to ensure the safety of your plant. Ships, aircraft, road and rail vehicles are not covered by these regulations. It is important to note that the Work Health and Safety Act covers any “Person Conducting a Business or Undertaking” using any of the aforementioned equipment. These regulations may contain wide definitions of individuals who have health and safety duties, with greater responsibility placed on duty holders to consult with others. Under the regulations, PBCUs must eliminate risks to a reasonable degree. Due to the intricacies of the regulations, a professional plant risk assessment conducted by Australian Risk Services is necessary to ensure nothing is missed. Our thorough understanding of the different hazards associated with a wide variety of equipment and types of industries allows us to see the big picture, think laterally and provide practical guidance as to how your business can meet regulatory requirements. The systemic, new regulations are intended to reduce confusion and provide a consistent standard of safety throughout the country. However, transitioning to these new regulations may be difficult, necessitating a visit from Australian Risk Services. Our services include WHS risk assessments for small spaces, hazardous goods and substances, manual handling, working at heights and more. Additionally, ARS provide training courses, environmental auditing and safety management system design. For more information on plant risk assessment or any other services offered by ARS, contact us today. To ensure that minimal risk is encountered by operators the team at Australian Risk Services can conduct reputable mobile plant risk assessments. Fully-accredited and with years of first-hand industrial assessment experience our skilled and attentive assessors can accurately determine the condition of your mobile plant to ensure that it is safe for use. Used in the construction industry, mobile plants are advanced and detailed machines that can crush large amounts of rock and similar hard elements into more usable materials. Made up of several different parts including a feeder, a crusher, and a belt, the mobile plant is designed for efficiency, being able to be transported by truck to a site promptly. Like all other types of machinery, extreme injury and even death is a very real risk when operating a mobile plant. Due to the high pressure crushing and automated systems that power all the sections of the machine a faulty component can cause the plant to operate in a way that is beyond its programming, causing unintended and extensive injury to nearby employees and the surrounding area. 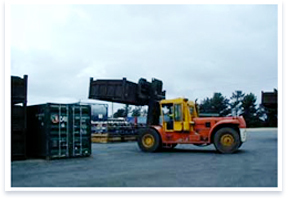 With our mobile plant risk assessments the likelihood of these scenarios is greatly reduced. Able to assess worksites across the country our national team of mobile plant Risk Assessors conduct their inspections and assessments in accordance to the safety standards and regulations of the regulatory body in that particular state. Help prevent injury, disaster, and damage to your worksite or personnel thanks to the experts at Australian Risk Services. Methodical, cost-effective, and required for the safe operation of worksites, our plant risk assessment helps Perth factories and industrial locations stay safe and operational all-year round. By delivering a cost-effective and personalised plant risk assessment Sydney-based companies and businesses can be assured that their site complies with relevant industry regulations. Not only limited to New South Wales our detailed and leading plant risk assessment helps Melbourne, Perth, and Brisbane companies stay safe and free from fines and litigation. To learn more about our leading and renowned plant risk assessment Brisbane businesses and others throughout Queensland can give us a call on 1300 266 172. By booking our assessors to conduct a detailed and professional plant risk assessment Melbourne industrial sites can be educated on the condition of their site, as well as their requirements to their personnel. Thanks to our years of training and extensive qualifications the team at Australian Risk Services are the team you can trust to conduct your mobile plant’s risk assessment. After we have conducted our assessment we will give you a detailed report highlighting any issues or risks we have found to help you make an informed decision regarding the correct course of action. To learn more about our exceptional and focused solutions call our experts today on 1300 266 172.